At least 19 people were transported to local hospitals with various trample-related injuries, and several others were treated on the scene for minor injuries, the Los Angeles Fire Department said. Two victims were suffering from “critical” injuries, and two others had injuries described as “serious.” At least one person may have been hit by a vehicle. 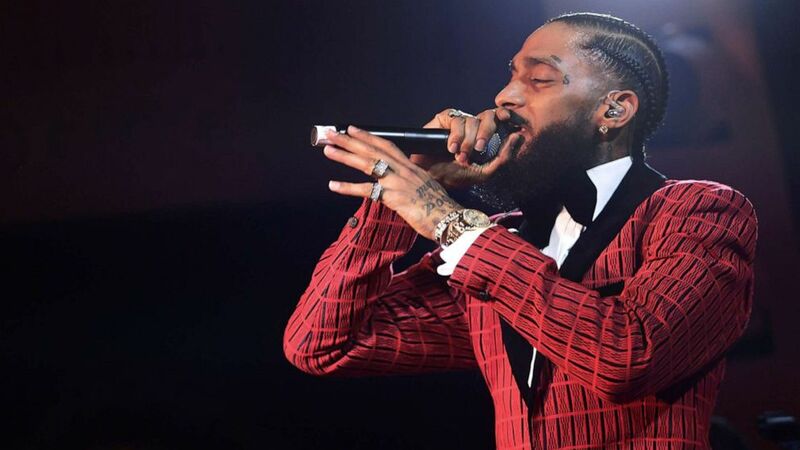 (Matt Winkelmeyer/Getty Images, FILE) Rapper Nipsey Hussle performs at the NoMad Hotel, Feb. 7, 2019 in Los Angeles. Hussle was shot and killed outside his clothing store in South Los Angeles, March 31, 2019.
near the scene where he was fatally shot. Officers with the Los Angeles Police Department said the crowd reacted to what was interpreted as gunfire, but no shots were fired. 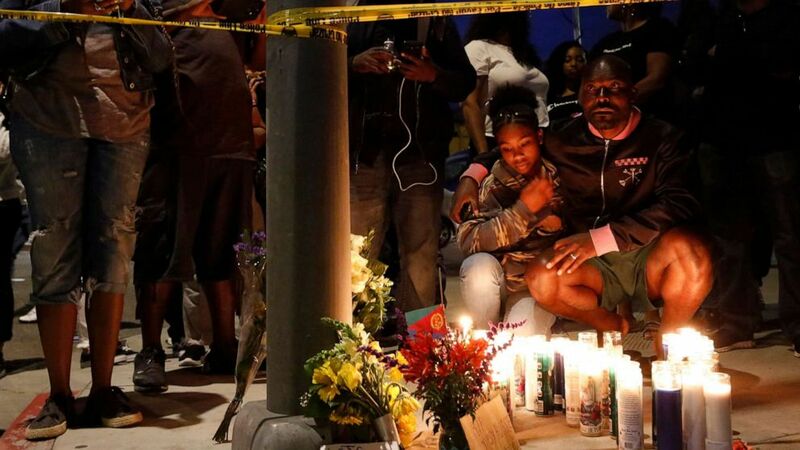 “Our men and women are on scene and making every effort to protect everyone in attendance at the Nipsey Hussle vigil,” the LAPD said in a statement. “Reports of shots fired at the vigil do not appear to be accurate. We do have injured in the chaos and are attempting to restore order.” LAPD officers began forming skirmish lines to keep people away from the scene. They told people to avoid the area while city workers cleaned up the scene. 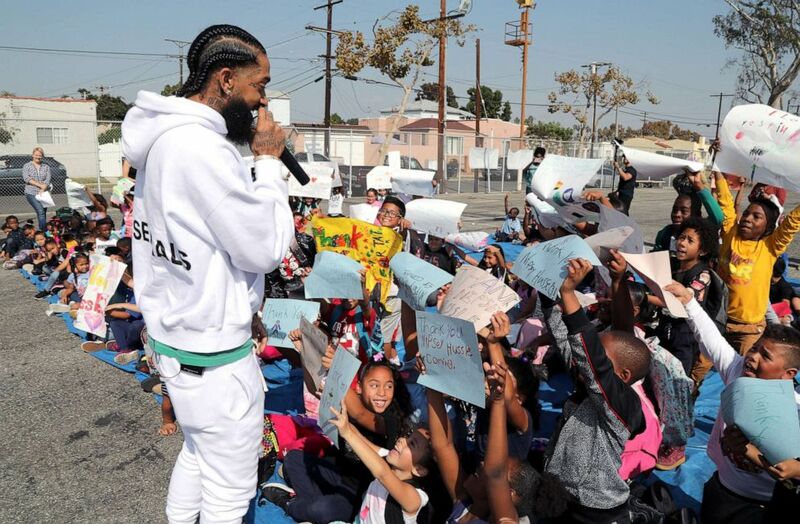 (Jerritt Clark/Getty Images, FILE) Rapper Nipsey Hussle speaks to kids after the opening of a basketball court, Oct. 22, 2018 in Los Angeles. Hussle partnered with Puma to refurbish the elementary school basketball court in south Los Angeles near where Nipsey grew up. Hussle, born Ermias Asghedom, was shot multiple times in the head and torso while standing outside of his shop near LA’s Crenshaw District, where he grew up, around 3:20 p.m. local time on Sunday, authorities said.